Get your tickets now for this historic birthday cake bake-off, eat your weight in cake, and help decide which local bakery will have the honor of making Walt's 200th birthday cake. 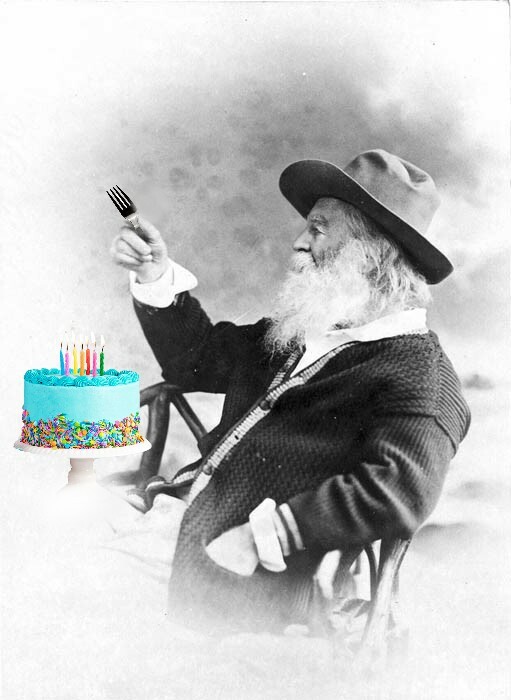 The winning cake will be featured at Whitman's birthday poetry reading at City Hall on May 31, 2019. Contestants will be judged on design, taste, and creativity. Nick Malgieri, pastry chef, author, and member of Who’s Who of Food and Beverage in America, will head the team of judges and be joined by local press. *Please check back to purchase tickets or contact whitmanat200@upenn.edu to register as a bakery.